From The Splendid Sampler: stitch a Splendid basket handle! 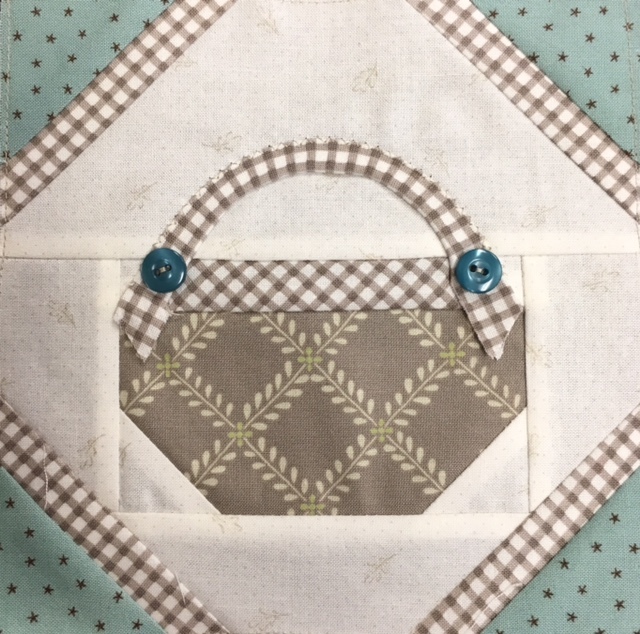 When Pat Sloan asked me to participate in The Splendid Sampler Sew-Along by designing an original block that signified my life as a quilter, I immediately knew I would design some sort of basket block. During my years of quiltmaking, I’ve made many basket blocks—both pieced and appliquéd. I love baskets—I use them for holding knitting, rug-hooking, and sewing supplies; I have a few antique baskets I treasure; and I’ve even learned to weave my own baskets. To make my block, you simply need basic patchwork skills. But the handle is appliquéd, and I thought it would be fun to share with you today the technique I used. Yes, I said “appliquéd,” but you can do it by machine and it’s really quite easy, once you know the secret. Start with a bias strip. 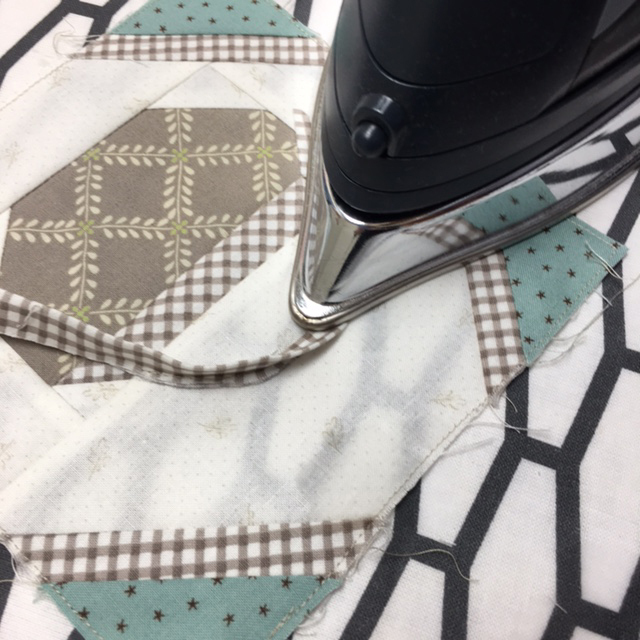 Cut your fabric at a 45° angle to the straight of grain so that you’ll have the greatest amount of flexibility with the handle. I cut my strips 1″ wide by about 8″ long. (Don’t worry if the strip is too long; you’ll trim it later.) Fold the strip in half lengthwise, with the wrong sides together, and press. Tip: Use a stripe or check for the basket handle for a realistic and fun result. In my original block, I used a stripe. On the sample shown here, I used a check that was printed on the diagonal. Use a drinking glass to mark the curve of the handle on the block. You can use a pencil or Frixion pen or whatever marking tool you like. The mark will be covered by the handle, so don’t worry about it showing up later. 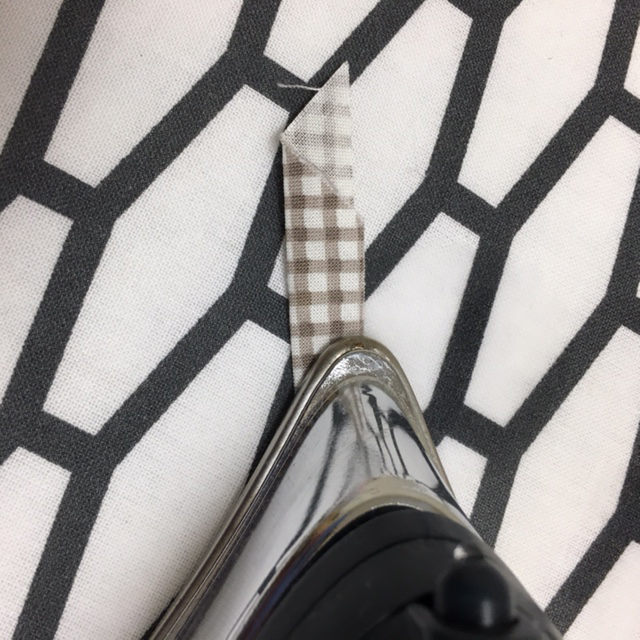 Place the prepared basket handle along the marked curve, with the raw edges touching the marked line and the folded edge of the fabric closest to the basket portion of the block. Let the end of the basket handle extend beyond the seam where the background meets the basket fabric. Sew about 1/8" inch from the raw edges of the handle and the marked line, starting exactly at the seamline between the basket and background fabrics. Gently ease the handle around the curve as you sew. Don’t stretch it or pull it too taut as you go. 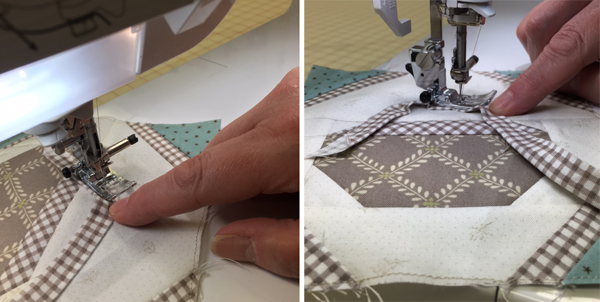 You’ll need to have enough ease to flip it up and over your stitching when you’re done. To create a nice smooth curve, be sure to lift your presser foot every few stitches so you can pivot as you sew. Stop sewing when you reach the seamline at the end of the curve. 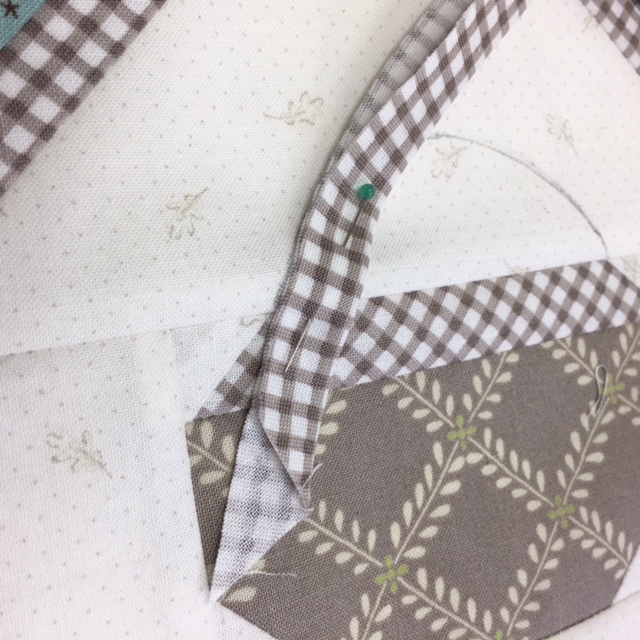 At the ironing board, fold the basket handle up and over the stitching. (I know, it seems like it just won’t work. But you can do it!) Use the tip of the iron to coax the handle over; use an awl if needed to hold the fabric in place so you don’t burn your fingers. Press the handle firmly in place; it may require steam. Make sure the block lies flat and isn’t puckered. Sew the folded side of the basket handle in place. 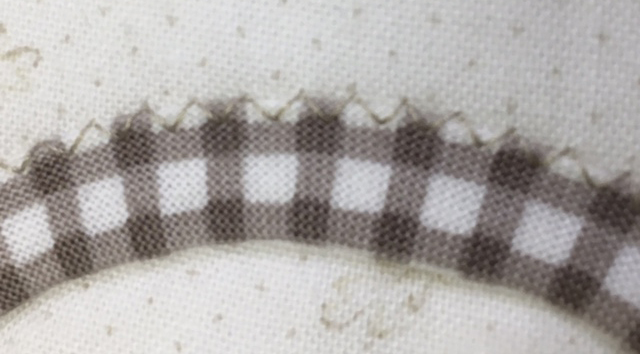 You can stitch by hand if you like, or you can use a narrow zigzag stitch along the edge as I did. You can even use a straight stitch, sewing very close to the edge of the handle to secure it. Hand sew a small button to each end of the handle, just above the basket fabric. I left the ends of the handle loose; I snipped them off at a pleasing angle, which added a bit of dimensional texture to the basket. And now, a moment many of you might be waiting for . 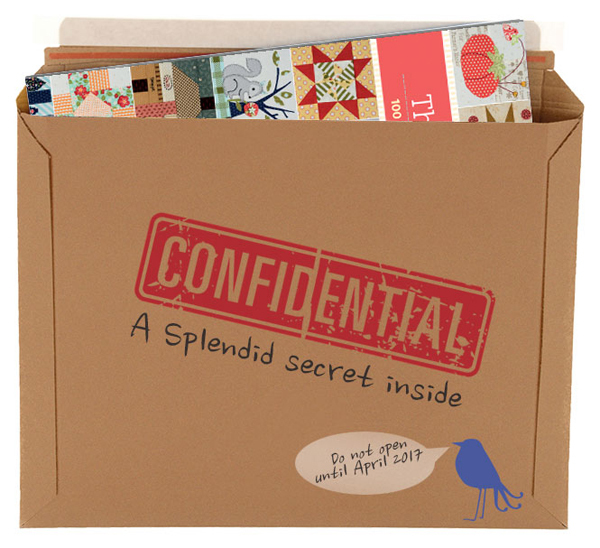 . . a peek at The Splendid Sampler book! Yes, just a small peek. But stay tuned, there will be more to peek at soon! Thanks for visiting us at Martingale’s Stitch This! blog—be sure to subscribe to our posts so we can meet again soon. Happy basket making! How far along are you in the Splendid Sampler Sew-Along? Tell us in the comments. 76 blocks finished, some bonus blocks. I did quilt as you go and now have 70 put together with sashing. 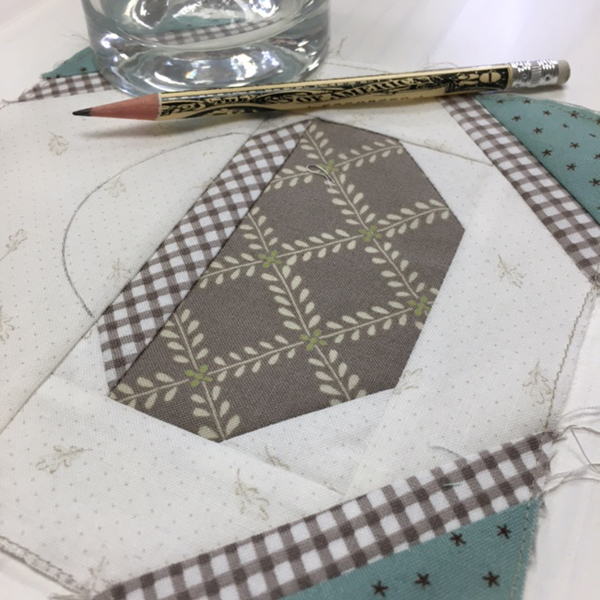 I am working on a circle quilt which uses this method of bias application. It works awesomely. Thanks for a charming Sampler block. Oh wow, woe is me. I’ve downloaded all of them, but have not started. I’m on track but I haven’t made all the bonus blocks,just some of them. I am caught up to today’s block and can’t wait to try this cute basket block! Sometimes life is busy and I got behind by a couple blocks only once, usually can’t wait for Sunday and Thursday to arrive, to see what neat design awaits! Thanks to ALL designers for providing all this fun!! I am so far along – all of the patterns are in clear plastic sleeves in a big, thick binder… Anybody else organized, but too time crunched? This is becoming a bucket list project for me. I love this quilt along !!! I have 73 blocks made but life got in the way the last couple of weeks. This weekend will be catch up!, also love sharing on IG. I’ve completed about 85, all blocks/bonus & a few own creations…..SEW very excited to make this adorable basket (I’m a tried & true Longaberger addict!!) The book looks great!! I was caught up to about 55, but then I went on a two week vacation, but I’m home now and ready to go again. I’m doing this basket block first and work my way backward. I’m loving the Splendid Sampler! And Thank you very much for your block! I’ve completed 67 blocks so far – all from the main sampler. I’ve having so much fun and learning LOTS! Keeping up with the regular blocks… I look forward to each block.I am learning so much about my abilities and learning more as I go. I have 49 done.. summer came and the outdoors called me 🙂 I’ll get back to them when the weather turns cold. Love all of them! what a fantastic journey.. Huge thanks to everyone! 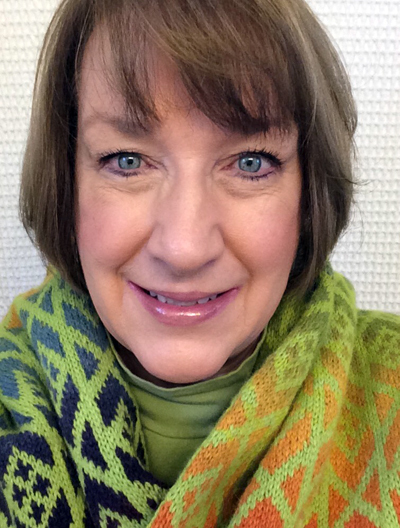 Thanks, Karen, for your tut for your splendid block. I love all the pics and the details you shared. I have about 20 unfinished blocks, some are started and need to be finished and I have 3 bonus blocks done. All have been printed and the completed ones are in a binder. The embroidery blocks take longer as my fingers go numb very quickly and I drop needles. Thanks for this block, I never made a basket block until I started the sampler. Only 32 completed so far but I LOVE them. My grown children tease me about all the baskets in my home and laugh when they catch me looking at more. This is the perfect block for me. Thank you! sigh. Life happened big time and I am many blocks behind. But working on catching up with my Splendid blocks. Love them. I am determined to do them and finish a couple of great quilts with all the blocks, plus bonus blocks and all. This is a wonderful basket block. love it. Love to look; downloaded some of the blocks, but didn’t want to get involved in such a large project at this time. Too many other projects in process. Maybe later. I have printed out all ofthe blocks – just have to have a hard copy. I have not yet started sewing, but I did at least decide what fabrics I will be using — 1930’s reproductions. 34 blocks completed, fabrics cut for 5 more. I’ll get there someday!! I love the basket, oh the things some of these creative folks will do with that design, I can’t wait!! And the sneak peek, what a tease! 😉 I am currently 12 behind, but intend to catch up in the next week or two, love my Splendid family!!! I’ve been with The Splendid Sampler since day one. I love it. Your basket block is adorable. Question, though…what is a ‘swing handle’ basket? A "swing basket" has handles that will lay down on the rim or along the side of the basket when you put it down. When you pick it up, the body of the basket "swings" freely from the handles. I hope this helps! Your block is fabulous! I love the way you did the handle. I have 50 blocks done. I was caught up, but had to stop to finish another project. Hope to get back on track soon. I have about 30 blocks done, plus three of the bonus blocks. I have chronic pain and am also making my son a quilt for Christmas. This is a wonderful journey that we are on and I am so thankful to all the designers for sharing their blocks with us. I love your tutorial and your block looks fantastic! I will sew my basket today. I am up to date with all the other blocks since I post for all the Spanish speaking gals who are doing the Splendid Sampler as well. Hugs from Mexico! My favourite is Small and Scrappy. I love little quilts. Thank you for the chance to win. I have no experience with Block Exchanges but I have done blocks for contests and won a couple of times. I enjoy the challenge and I love the fabric for the giveaway. I’ve done Splendid Sampler 2 since the beginning, doing every block, I’m at it almost every day, & think of it all of the time. I have 84 blocks done (I have book 1 also & have done some of those) plus I have done Pat and Janes’ bonus blocks both old & new. I am up-to-date to today. Love this quilt!